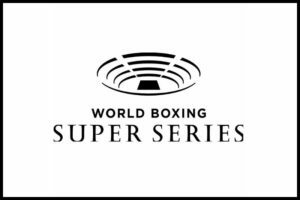 Over the past weekend, the newly created World Boxing Super Series held its very first draft, for its very first tournament. The premise of the new tournament is an open competition for any professional boxer that is ranked in the top 15 of the major sanctioning bodies systems. In theory the best fighters would face off against one another, until the last man was standing, thus making him the #1 boxer in that weight class. Simple. That is the easy part, the hard part is getting the best fighters to all participate in such a tournament, with everyone having different promoters and so forth. Fortunately, it seems to have worked out for the initial Cruiserweight Tournament. The seeding of the tournament went as follows. The top 4 fighters were ranked 1-4 by the WBSS, with the four belt holders getting the top rankings. The first round of the tournament looks like this. Literally the best of the best in the Cruiserweight division will be competing against each other, until one is standing with all the belts, the inaugural Muhammad Ali Trophy and possibly a $1 million dollar bonus for advancing though semifinals and the championship round. The tournament is slated to begin in early September and rap up by Mary of next year. The location of the fights have yet to be determined and will be placed in locations that match up well for each fight. “To unify a division and spotlight a division that has clearly been underappreciated, even though the fights in the ring are always among the most exciting in the sport, irrespective of the division, that those four champions, if you look at the record – they are all undefeated. Most of their wins, the vast majority have come by knockout. So these are all big punchers, undefeated. I’m really excited,” said Richard Schaefer, the Chairman of the Americas for Comosa, who helped put this field together alongside fellow promoter Kalle Sauerland (the Chief Boxing Officer for Comosa). This is a very exciting tournament for boxing and especially for the roll out of the new World Boxing Super Series. With formats like this, expect many division to start falling in line and possibly getting to see the best match up against the best in the near future.